On the seventh of June, 1935, the Antioch Missionary Baptist Church was planted on the corners of Hayes and Gevers Streets in San Antonio, Texas. There were approximately fifty-three persons present in the organization, with hardly a high school diploma among them. Despite this, their experience with Christ had set them apart as a peculiar people, a Holy nation, determined to fervently show forth the praise of Him who had brought them out of darkness into the marvelous light. They stood together in calling people to repentance and to faith in a virgin-born, dead, buried, and resurrected Savior. The late Dr. C.F.C. Curry, former pastor of Mt. Zion First Baptist and Friendship Baptist Churches, presided over the meeting and the church called as its first pastor, the Rev. Rufus Wilson, a strong man of faith, who dared the impossible. His motto was “God is able.” In what appeared to be a step backward, Pastor Wilson moved the little group to a tent on Center Street in the back yard of one of her members, James Parker. From the tent, they moved the worship to a laundry building on Walters and Crockett until Sister Fredia Keith discovered the p resent site, an abandoned dairy, with an old house facing Nolan at Walters Street which was renovated for worship. Then Antioch took on the character of its historical counterpart, and the Word of God went forth and many people were added unto the Lord. The unusual fervor of the Antioch congregation drew people from every segment of the community, young and old, learned and unlearned. In 1947, Pastor Wilson led the church into a building remodeling program at a cost of $65,000. The Lord continued to do great things and lives were transformed, bodies were healed, and many were called into the ministry who went on to pastor major congregations across this great nation. Pastor Wilson led Antioch for 17 years. Then on August 17, 1952, God, in His providential goodness, put a group of people from Antioch in the path of a young man named John Joseph Rector, who had only surrendered to preach in January 1950. He was to be called to the Antioch church at the age of 22 years, the youngest of his time to be called to a major church. In less than 1.5 years, a mortgage of $16,000 was liquidated and the church took on immense growth. In May 1968, the church sponsored a housing development at a cost of 1.25 million dollars, named Antioch Village, which was rated by HUD as one of the most outstanding operations in the city. Also, $100,000 in properties was added to the church’s estate. Then in 1971, the church negotiated the largest loan for an African American congregation in the state for over a half million dollars to construct a new sanctuary. The project was completed in 1974 and this beautiful sanctuary is where Antioch worships today. Somewhat akin to the church at Corinth in the scriptures, Rufus Wilson planted, J.J. Rector watered, but God gave the increase. To God be the glory! Pastor Rector provided 40 years of mystical ministry under the direction of the Holy Spirit. As his health failed, he had the foresight to bring on a young vibrant seminarian as Youth Minister, the Rev. E. Thurman Walker, who quickly became endeared to Pastor Rector, the Antioch family, and the San Antonio community. The Lord took Pastor Rector home in March 1993, at which time, his then Co-pastor, Rev. E. Thurman Walker became the pastor of Antioch Missionary Baptist Church. This was a move ordained by the Holy Spirit that resulted in a seamless transition in leadership. Rev. Walker’s first official Sunday as pastor was March 27, 1993. In the years which passed, Antioch continued to progress and be blessed under the leadership of a God-sent Shepherd. These blessings include a record year in 1993 of a one-half million dollar budget, the addition of the Antioch Christian Academy in 1995 where Antioch educates the total child: mind, body, and spirit, the establishment of the Antioch Community Transformation Network in 2000 (ACTN is a community development corporation with 501c3 status). As the new millennium arrived, Antioch took on a 7.5 million dollar Family Life, Education, and, Community Complex Center under the watchful eye of ACTN. Phase I, the construction of a 4 million dollar, 21,212 Sq. Ft. Sports Complex, opened in May 2005. Upon completion of Phase I, plans were immediately begun on Phase II of this building project, the Antioch Education Center. The Lord t ook Pastor Walker home in October 2009. In 16 short years, Pastor E. Thurman Walker, M. Div, D. Min., did more than most pastors would do in 50 years or more. He truly lived his days to leave a legacy for tomorrow. 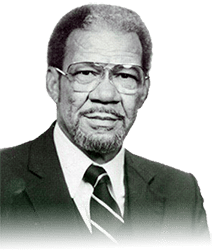 Antioch, San Antonio, and the entire nation are better because of what Pastor Walker did as God’s servant and the leader of the Antioch Missionary Baptist Church. Like Pastor Rector before him, Pastor Walker had the foresight to bring on an associate who served as his Assistant Pastor, Rev. Dr. Kenneth R. Kemp. On September 27, 2009, upon the recommendation of Pastor Walker and the overwhelming support of the members of Antioch, Rev. Kemp was called to be Co-pastor of Antioch. Just one month later, in October 2009, upon the demise of Pastor Walker in October 2009, Rev. Kemp became senior pastor of Antioch. His first official Sunday as pastor of Antioch was November 1, 2009 and he was installed on February 21, 2010. In the first year of Rev. Kemp’s pastorate, each month new souls were added to Antioch, attendance increased, and God blessed our budget to exceed 2 million dollars. The Lord continues to bless our church in an unusual way under the leadership of Pastor K emp. This anointed pastor with a passion for preaching, praising, and teaching has maintained focus on spreading the message of Jesus Christ to the community and the world. Under his leadership, Antioch has initiated a contemporary worship called the Recharge Zone, enhanced ministry to youth and young adults, emphasized evangelism and disciple-making of the neighborhood, hired a minister of adults, discipleship, and evangelism as well as a full-time business manager, and provided vital community services to a traditionally underserved sector of our city. 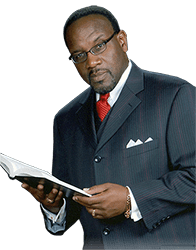 In 2014, Antioch also initiated an endowed scholarship at the Interdenominational Theological Center/Morehouse School of Religion in Pastor E. Thurman Walker’s honor. Pastor Kemp has also sought to build bridges that reach across traditional barriers. He has championed collaborations with churches, synagogues, and faith-based organizations that bring people of diverse backgrounds and ethnicities together for the benefit of the community and the Kingdom.